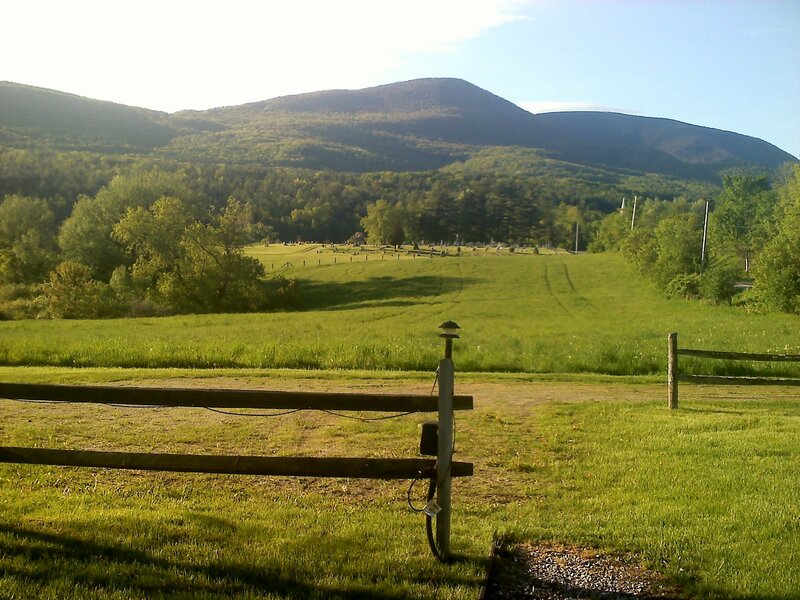 Thanks to all of this never-ending rain, New England has burst forth with dozens of shades of green. We spent last weekend in Vermont, puttering around dusty antique shops, wandering through grassy fields, and enjoying the emerald scenery. All of that pure, clean air and quiet stillness makes the simplest food taste spectacular. Chocolate chip cookies are even more buttery, more crumbly, more salty-sweet. 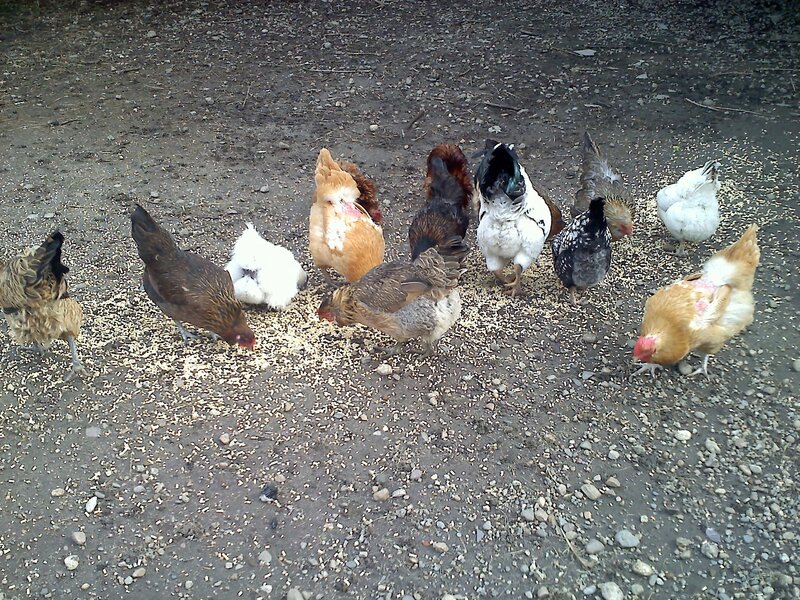 Farm fresh eggs taste sunny and rich. And homemade bread that is grainy and dense sops up the yolk. 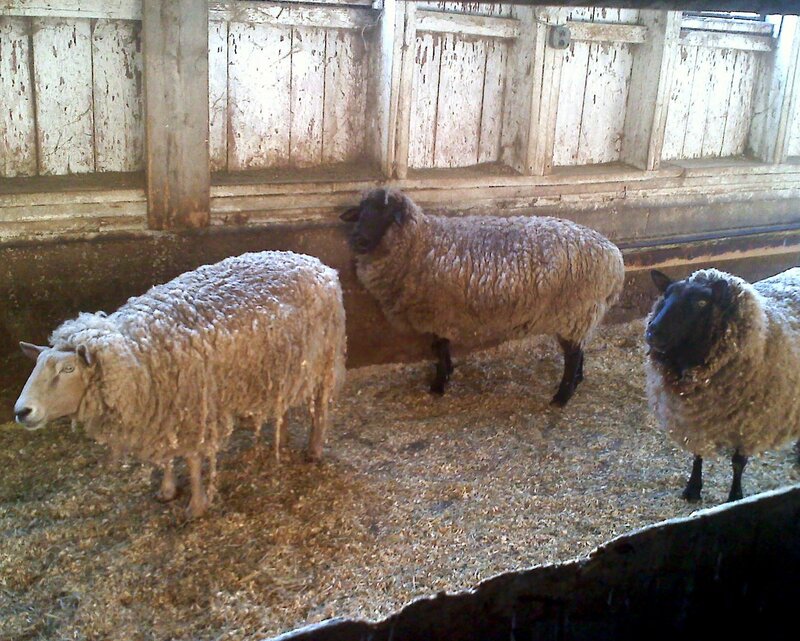 Everything tastes better on a farm. But even at home, eggs are my favorite indulgence and my go-to food when I’m eating alone. 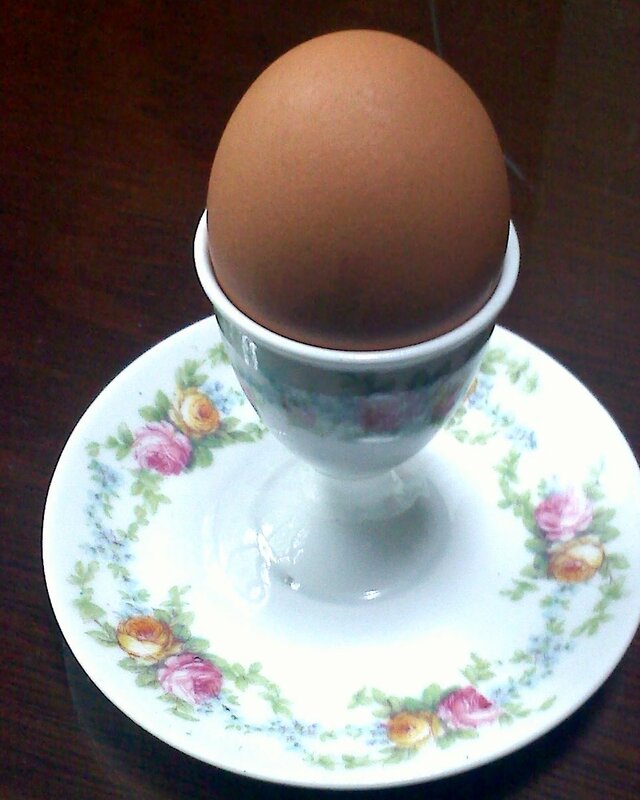 Simply served with buttery toast points, there is nothing better than a fresh egg. And with pretty green spears of asparagus overflowing from the market, my favorite spring lunch has become prosciutto wrapped asparagus twirled in a soft-boiled egg. This isn’t so much a recipe as a suggestion, so use your imagination. I happen to adore the earthy woodiness of wonderful, thick spears, but if you’re a fan of pencil-thin asparagus, certainly use those! In fact, lovely mellow white asparagus would be wonderful here as well. And if you don’t have prosciutto on hand, paper-thin slices of Italian soppressata would be a nice, spicy touch. In a shallow pan, bring a few inches of water to a simmer. Add the asparagus and blanch for just two minutes. 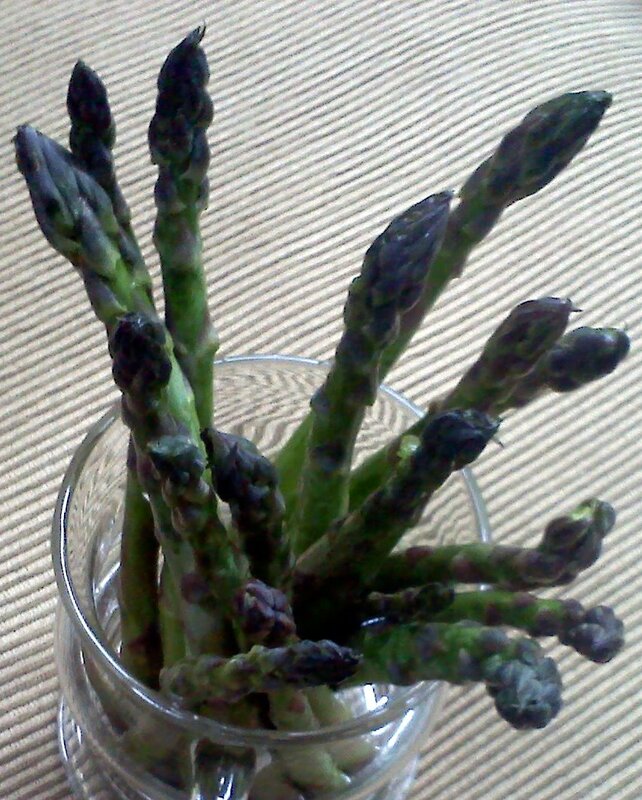 Drain the asparagus and plunge them in a bowl of ice water. Meanwhile, in a saucepan, bring a few cups of water to a boil (enough to cover the eggs). Reduce the heat to medium and carefully add the four eggs. Boil for four minutes, then drain (if you like your eggs a bit less runny, or are worried about undercooked eggs, boil for five minutes). Slice the prosciutto into strips. Wrap the prosciutto strips around the asparagus. Serve two eggs per person. Place the eggs in egg cups, carefully crack the tops off the eggs, sprinkle with salt and pepper, and serve with the prosciutto wrapped spears for dipping into the runny egg. 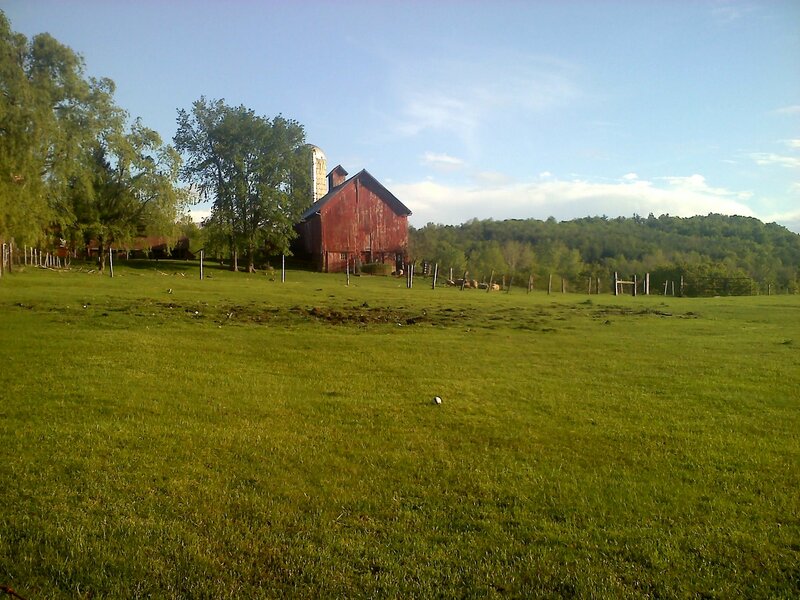 *We stayed at the wonderful Hill Farm Inn in Arlington, VT. Head up there for beautiful scenery, adorable farm animals, and a fantastic country breakfast! 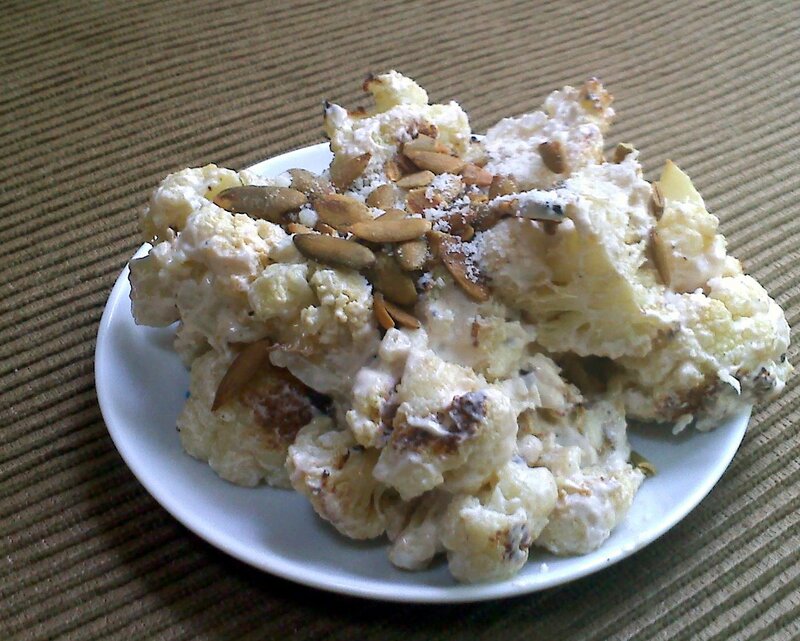 When I was a kid my mom would make a dish she called ‘Hungarian Cauliflower’. Steamed cauliflower, topped with strained yogurt and toasty bread crumbs with a sprinkle of bright paprika. I haven’t had it in years. In fact, I hadn’t even thought about it in years – until a few weeks ago. My mom’s Hungarian Cauliflower was earthy, crunchy, creamy and delicious – a weeknight favorite. It’s funny how old favorites fizzle, though, when you move out on your own. I can’t tell you why I’ve never made Hungarian Cauliflower, or the famous family ‘Albergetti’ (something akin to homemade Spaghetti-O’s) or even my mom’s potato-chip topped chicken noodle casserole. But when I stepped into Michael Schlow’s new Boston restaurant, Tico, I can assure you that Hungarian Cauliflower was the last thing on my mind. I was looking for spicy two textured beef tacos, and sweet tres leches ice cream … not a blast from the past. Then a small plate of creamy, smoky cauliflower florets arrived on our table, and I was transported. The cauliflower was roasted, not steamed, and the creamy sauce laced with chipotle. But the food memory was there nonetheless. Tico’s cauliflower was topped with a bit of crumbly, salty Mexican cheese, and crunchy fava beans – not exactly bread crumbs, but quite a flavor combination. After that meal at Tico, I bought a head of cauliflower thinking I’d make Mom’s Hungarian Cauliflower. Of course, as soon as I got home I realized that we had no bread crumbs – not even a lonely crust of bread from which to make bread crumbs. Typical of my haphazard shopping. But then again, most of my recipe innovations arise from missing ingredients. So I roasted the cauliflower and tossed it with chipotle-laced yogurt, sprinkled it with a bit of salty cheese, and a few pumpkin seeds from the back of the cupboard. And I have to say, it turned out quite wonderfully. This recipe has all the nutty flavor and smokey punch of the dish at Tico and all of the homey creaminess of my mom’s cauliflower. And even better… this version is seriously healthy. Preheat the oven to 400 degrees. Cut the cauliflower into bite-sized florets. Toss the cauliflower with the oil and sprinkle with salt and pepper. Arrange the cauliflower in a single layer on a baking sheet and roast about 25 minutes until browned on the edges. Cool slightly. Meanwhile, mix together the yogurt and the hot sauce. Arrange the pepitas on a baking sheet and roast in the 400 degree oven for 3-5 minutes, until lightly toasted. Toss the cauliflower with the yogurt mixture and top with the cheese and pepitas. Serve warm. My mom is not a baker. She makes a mean curry and a fabulous chicken noodle casserole, but baking is not her cup of tea. That’s the amazing thing about moms, though, they do all sorts of stuff they hate, just because they love you. Did she enjoy watching the endless hours of soccer games in which I rarely left the bench? Not likely. Did she complain during the year I got really into Kurt Cobain and blared Nirvana at all hours of the day? Nope. So when my brother and I were in college, and she sent care packages full of homemade brownies and spiced raisin bread, I shouldn’t have been surprised. When I first moved to St. Louis, the care packages came from my grandmother. But as baking got harder for her, Mom took over, believing that dorm-dwelling students can’t subsist without home-baked treats. My brownies would arrive, mangled and smashed, and my roommates and I would dive into them, devouring the batch in minutes. With my college days long gone, I can’t remember the last time I received baked goods in the mail. Squished, crushed, or crumbled, it doesn’t matter. There is something so heartwarming about a shoebox full of homemade goodness. And if, like me, you haven’t seen a brownie-filled care package on your doorstep in a few years, just imagine how many years it’s been for your mom! So make your mom a batch of these decadent, old-school brownies. And pretend that you’re back in college, in the days when you could eat pizza at midnight and drink beer all weekend without gaining an ounce! If your mom lives far away, wrap these babies up and send ’em overnight mail! And if she’s close by, tuck them in a cute, parchment-lined shoebox anyway, for old times sake. Preheat the oven to 350 degrees. Grease a 9×9 inch baking pan. To make the brownies, put the chocolate and butter in a microwave safe bowl. Microwave on low heat, stirring every 30 seconds until melted. Stir in the sugar, eggs and flour to combine. fold in half of the cookie crumbs. Spread the batter into the pan and bake for about 35 minutes. Cool completely. Meanwhile, make the frosting. Whip the butter with an electric mixer. Beat in the sugar, then add the vanilla, cocoa, and milk and beat until fluffy and combined. 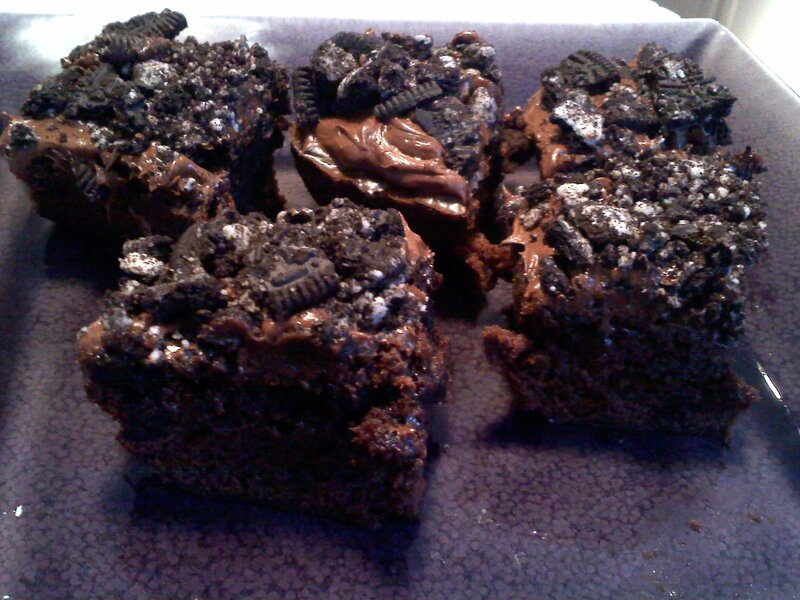 Spread the cooled brownies with the frosting and sprinkle with the remaining Oreo crumbs. 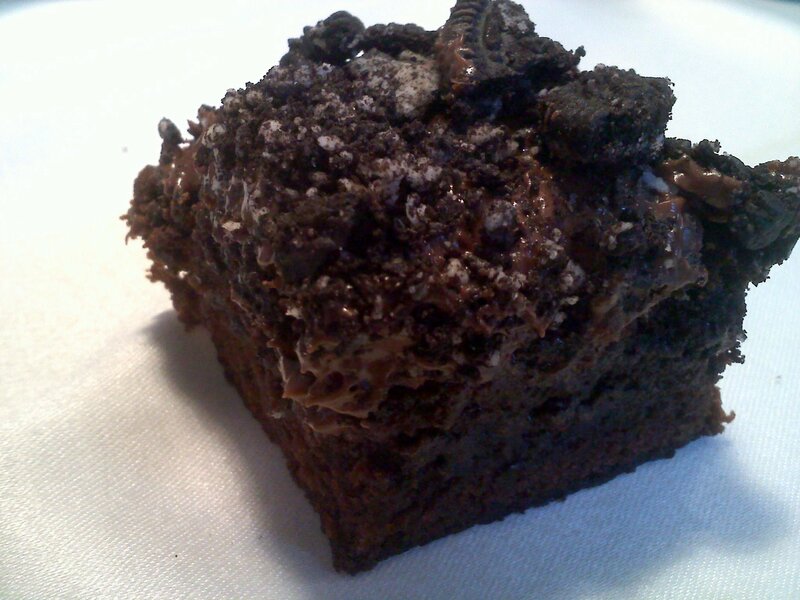 Slice the brownies into bars and serve with a tall glass of milk!